The Evolis Zenius card printer is full colour, single sided and can produce high quality ID cards at the click of a button. A very user-friendly card printer with an input hopper of 50 cards and output hopper of 20 which makes it ideal for on demand printing. 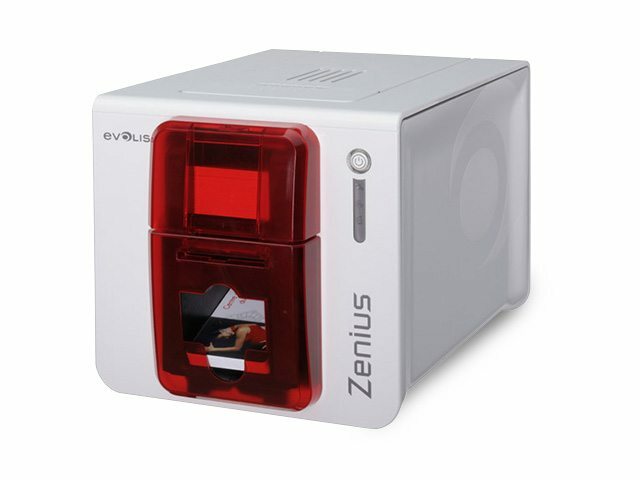 The Evolis Zenius is a full-colour, single-sided plastic card printer and is capable of printing high-quality ID cards at the touch of a button. An exceptionally user-friendly printer, the Zenius is ideal for small to medium print applications. With impressive print speeds capable of producing up to 150 full colour printed cards in just one hour, the Zenius is exceptionally efficient. Using the Evolis Zenius is extremely straightforward. It has an intuitive display panel which provides automatic alerts you should your printer require a new ribbon or new cards. Not sure if this printer is the right choice for you? Call our sales team now on 056 7712650.